Every year, the American Booksellers Association gathers independent booksellers together for professional development and author appearances at their Winter Institute meeting. 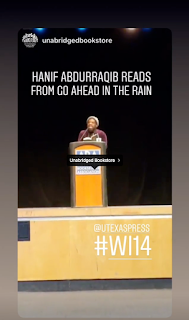 This year's Winter Institute was held in Albuquerque, New Mexico, and hosted authors Reshma Saujani, Margaret Atwood, and our own author—poet, essayist, and music expert Hanif Abdurraqib. 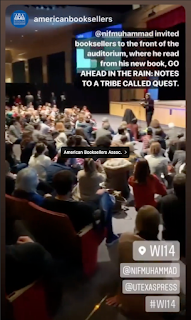 Hanif's keynote was delivered to a packed auditorium, as he read passages from his latest book Go Ahead in the Rain: Notes to A Tribe Called Quest and emphasized how bookstores had shaped his life as a reader and a writer. 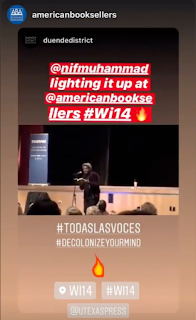 The audience connected deeply to Hanif's incredible, writerly voice and his deep love for bookstores. 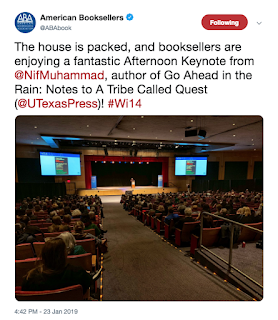 Read Robert Gray's summary of the keynote address for Shelf Awareness. Before the keynote, we scoped out the auditorium. 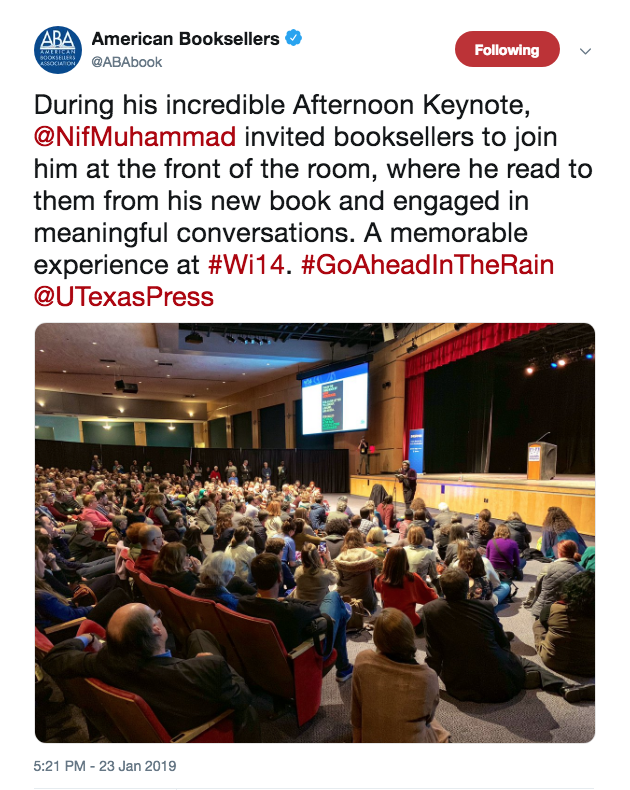 Well be honest; everyone involved was a little nervous about how many people would show up to see Hanif. 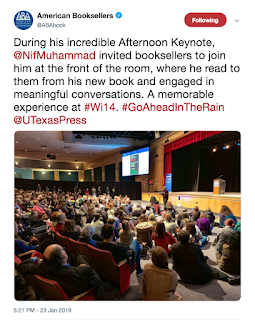 The room seemed huge, and the podium onstage quite formal—a far cry from the ice cream parlors and cozy, local bookstores Hanif's voice has graced at his readings in the past. 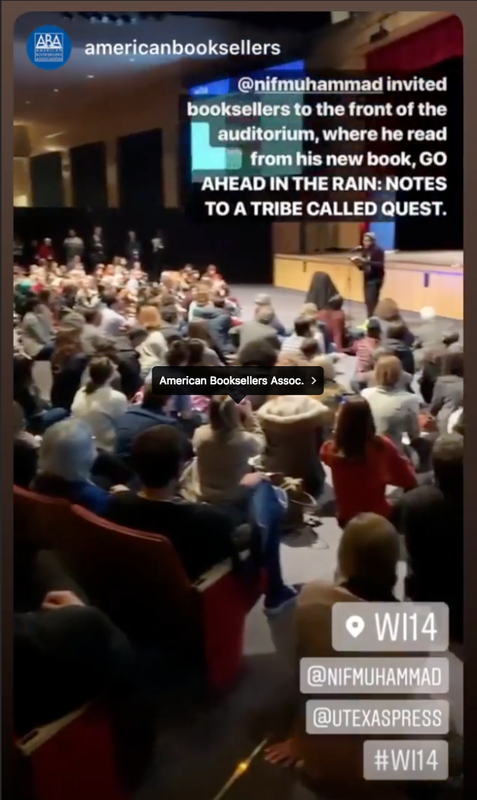 As booksellers started to stream into the auditorium, Hanif began to read Go Ahead in the Rain passages on stage, from behind the podium. 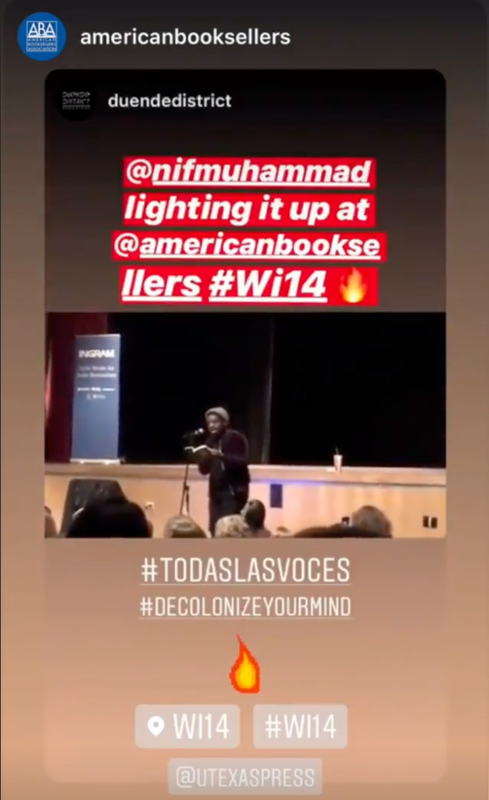 At some point, attendance swelled and Hanif left the stage to read closer to the audience. He welcomed those who wished to come forward and sit at his feet, which were characteristically adorned in the freshest kicks. The response on social media was overwhelming. In advance of Go Ahead in the Rain's publication date next Friday, February 1st, we gathered a selection of the social media love for Hanif and for his book to celebrate a truly masterful piece of music writing. 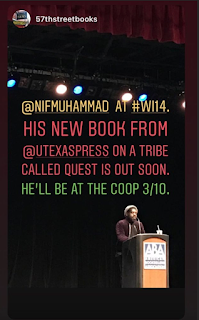 A special thanks to the American Booksellers Association for inviting Hanif to give a keynote, which is a huge platform for a university press author. 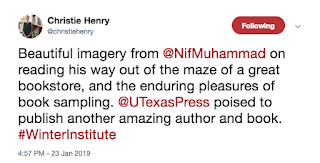 Most of all, though, our deepest gratitude to all the booksellers who engaged with Hanif and his book during Winter Institute this year. 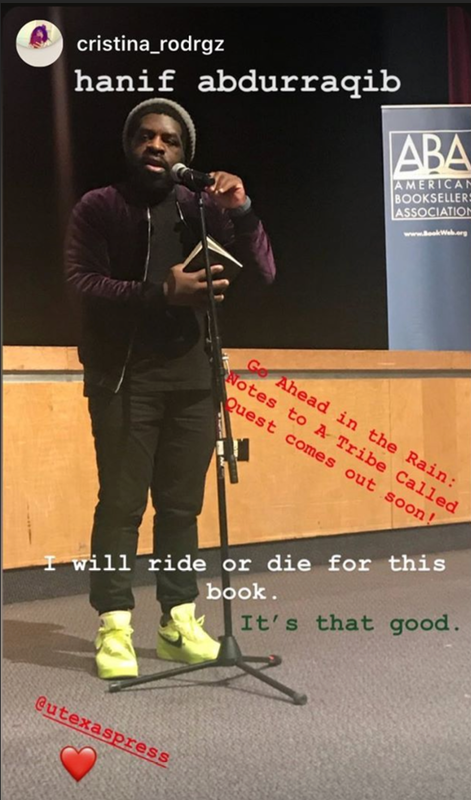 The University of Texas Press is honored to share Go Ahead in the Rain: Notes to A Tribe Called Quest with communities of readers across the country and around the world. 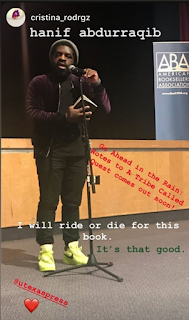 Watch these Instagram stories on our Instagram page. 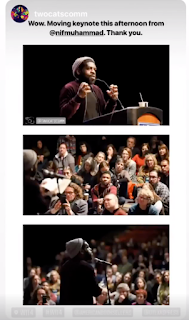 Find the #Wi14 Highlights! Follow Hanif Abdurraqib on social media for dispatches from his upcoming appearances (Facebook | Twitter | Instagram). Follow the University of Texas Press on social media for more books and author news!